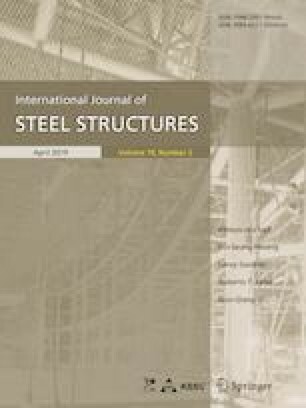 This paper aims to investigate the bending moment capacity of innovative cold formed steel (CFS) built-up beams. Two innovative CFS built-up beam section are presented in this paper. Each section is composed of combination of two vertical elements (channels or Sigma section) back to back with a distance separating between them and two horizontal elements joining between the vertical elements. The elements of each section are assembled together by using self-tapping screws. The bending moment capacity of each section was investigated numerically by using finite element (FE) model using ANSYS program and analytically using both effective width method and direct strength method. The FE model was verified against previous experimental results. The FE model was used to study different parameters that affect the bending moment capacity of the innovative CFS built-up beams, these parameters are: cross section profile, steel thickness, steel grade and longitudinal spacing between screws (fasteners) and the horizontal distance between the vertical elements of the beam cross section profile. A modification factor was developed to take into consideration the reduction of moment capacity with increasing the distance between fasteners. It should be mentioned that all the beams analysis was performed by using four points bending in order to obtain pure bending results.